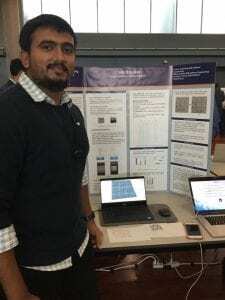 Student Profile: Karan and Chintan present their Masters Project. Karan Didwani and Chintan Vachhani are both eCampus student assistants who help the university’s faculty and student body with teaching tools such as Canvas, Turnitin, Clickers and many more. They graduated with Masters in Software Engineering this Fall and have big things awaiting them in the future. I asked both of them some questions about their Masters Project and about presenting their findings at the Project Expo here at San Jose State. Chintan’s project focused on digital detection and decryption of a Sudoku puzzle using vision-based techniques. It is an Augmented Reality (AR) application that uses Computer Vision (CV) and Machine Learning (ML) to solve the Sudoku puzzle and convert it to an interactive AR representation. The AR app captures the puzzle image and sends it to the CV module. In turn, the CV module tries to detect the puzzle grid and if found, tries to recognize the digits present. It creates a 2D array representation of the puzzle and sends it to the ML module to solve it. The ML module consists of a Relational Recurrent Neural Network that is trained on 1M sudoku puzzles. It solves the given puzzle and returns a result to the CV module. Further, the CV module creates a sudoku image with the filled answer and forwards it to the AR app. In the end, the AR displays the solution image placed over the actual puzzle creating a magical augmented experience in real-time. Witnessing the final product was really incredible as the app insistently found the answers to the sudoku puzzles. Chintan stated the most challenging part of the project was, “to integrate between AR (Unity3D, C#) and CV (Python, Flask, OpenCV) modules as they are two very different technology stacks”. A project he has been working on with his group-mates for a year is finally done and with it he says, “I feel satisfied becauseI was able to take upon a challenging project, learn new technologies and apply them to finish the project in time”. The biggest takeaways he feels were from this project were to always expect the unexpected and to always be innovative when solving sudden problems. Chintan hopes to use the skills and knowledge he acquired here in San Jose State to work for a tech company in small or big teams. Chintan states, “I hope to one day I wish to pursue entrepreneurship and run my own company”. No doubt he can make his dreams into reality for he always puts 100% in anything he does. Karan’s project is a web application to allow its end users to carry out real estate sale online. It is not any ordinary ecommerce website because it is backed by one of the most talked about technology of this decade “ Blockchain”. In his project he and his group-mates stored all the transaction data and property data in a highly secure, encrypted distributed ledger or also known as blockchain. The complex encryption and availability of the data on distributed network makes the application almost impossible to hack and highly available in cases of failure. Karan mentioned he was happy that the end users don’t need to worry about all these technical complexities as everything is abstracted and served to them in a simple website just like Amazon or eBay. Some obstacles Karan and his group-mates faced were conducting research on the Blockchain and its implementation was one of the hardest things we had to do in the project and time management. Blockchain technology is something that is new and just now getting traction so there is limited research done on it. Every project requires time sensitivity and having time management skills is essential in any setting. 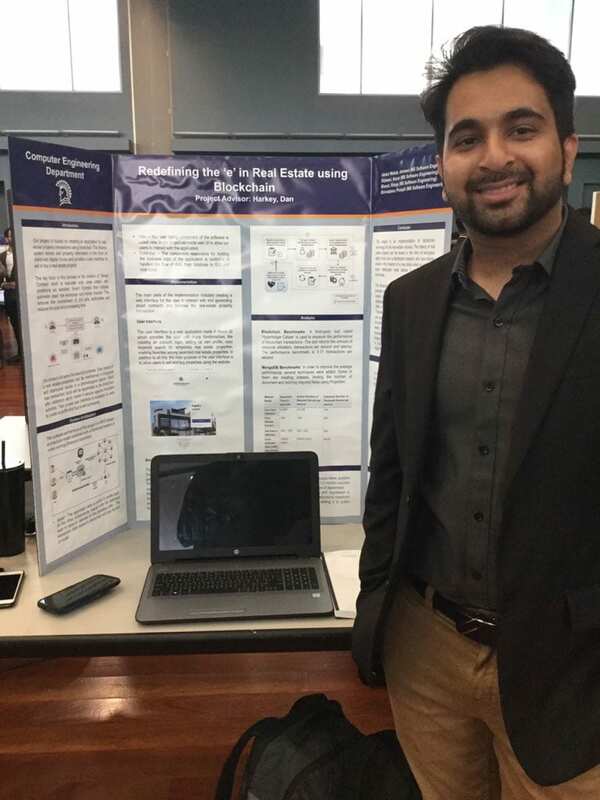 Like many San Jose State students, Karan had jobs and internships that required time and commitment which made it hard to focus on the project. 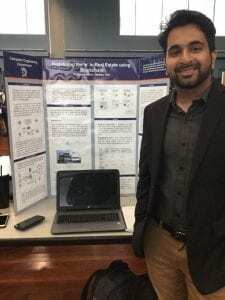 Karan said, “since my team members and I, we all were doing internships and attending classes at the same time, finding time to focus on the project was a difficult thing to do. I was also doing my on-campus job at eCampus at that time. It was not about finding time to do it, it was more difficult to meet and discuss with each other”. We are all incredibly proud of both Chintan and Karan for their amazing accomplishments and wish them nothing but the best in their future endeavors. Thank you for all the work and time you put in helping the campus community. Stop by IRC-206, M-F, 9AM-5PM for any and all eCampus related questions. Comments Off on Student Profile: Karan and Chintan present their Masters Project.